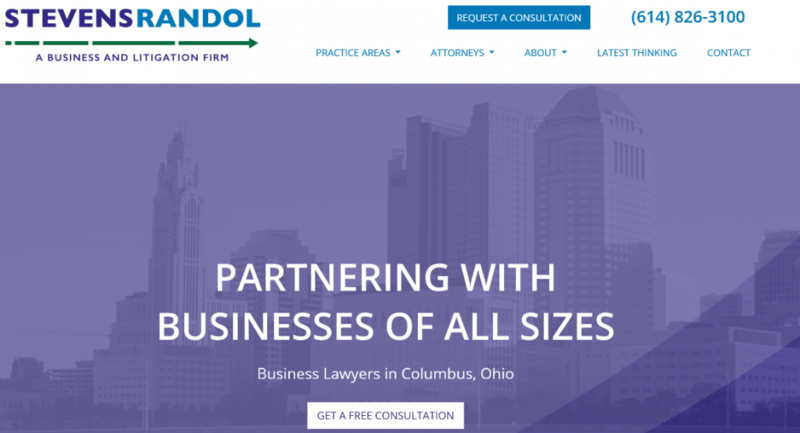 A business and litigation law firm offering expertise in technology & IP, software, commercial litigation, corporate, mergers & acquisitions, employment law, construction and business law in Columbus Ohio. We’re proud to partner with companies of all sizes, including startups, mid-market companies, and mature businesses. We work with businesses from a variety of industries, including technology, software, finance, retail, manufacturing, construction, fashion, alcohol, telecommunications, fitness, healthcare, sports and entertainment, and real estate development.